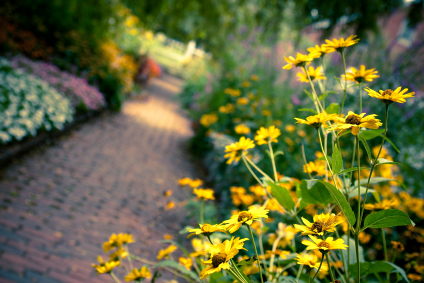 A well-designed landscape will improve your heating and cooling costs by protecting your home from the wind and sun. Trees, for example, are the primary landscape resource for energy savings. Providing shade under their large canopies, carefully positioned trees reduce solar heat gain and can save up to 25% of the energy used in a typical household. In cooler months, landscaping provides wind protection and extra insulation. Take a look at these resources from energy.gov that will help develop your plan for energy saving landscaping. Shade – Incorporating shade from landscaping elements can help reduce solar heat gain and lower cooling costs. Windbreaks and efficiency – Landscaping windbreaks reduce heating costs by lowering the wind chill near your home. Water Conservation – Planning a landscape with low watering requirements conserves water and energy.